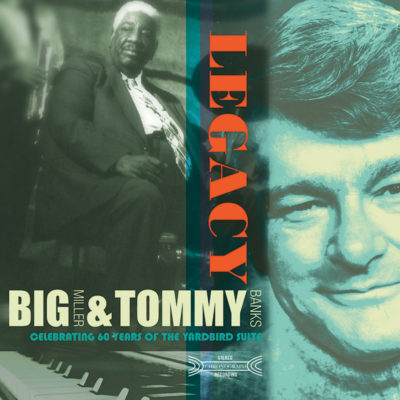 “These recordings capture a magical afternoon in August, 1989 when the legendary Big Miller and his dear friend, the great Tommy Banks came together to play and record a few songs. At that time, their schedules were fi lled with performances, TV appearances and extensive travel so it was very special to get them into the studio to record in an intimate setting. Proceeds from the sale of this album will support the educational programs of the Edmonton Jazz Society and the Yardbird Suite.